Want to Look In Style On A Budget? 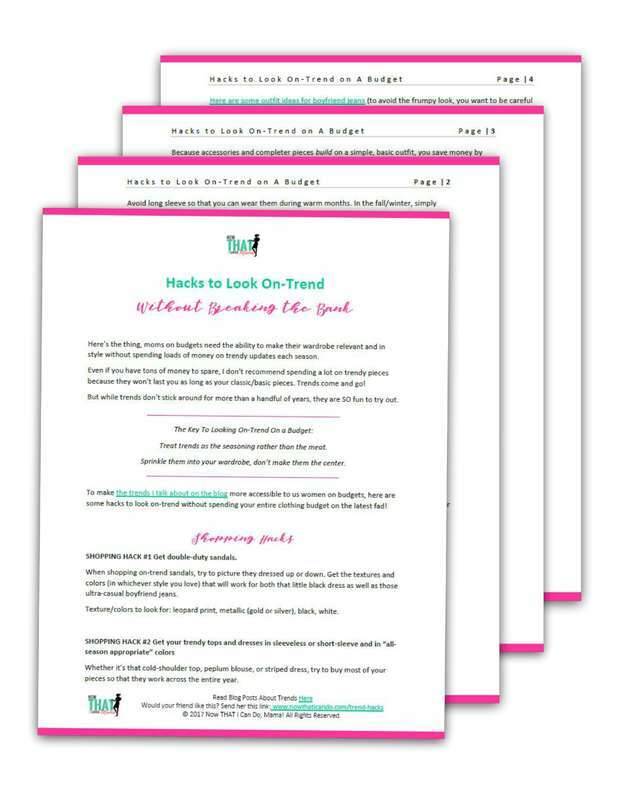 This PDF includes 9 total hacks you can start using TODAY on your closet and in future shopping trips to save money while still enjoying seasonal trends! Print it out and start practicing them to look stylish for cheap, or for free! You'll probably start getting compliments like "you always look so stylish!" ;) Only you and I will know just how cheap and easy it is. To download your cheat sheet, enter your delivery email below. 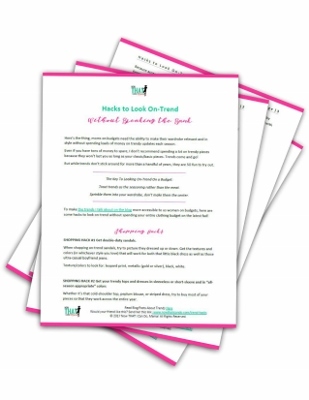 Where should I send your 4-page PDF? I'm excited to deliver your download, mama! Just one more step... check your email to confirm your subscription.